Baxter (Jason Bateman) and Annie (Nicole Kidman) Fang are siblings of a very special family who made fame for themselves in the kids' youth for their public performances of vanguard art which consisted in a rupture of social and everyday standards. The whole family comes back together and Annie and Baxter are to confront their parents and their unusual past to figure out their now unbalanced life. I am a deep lover of cinema, every time I go to the theater I genuinely go there, no matter what the movie, to appreciate cinema and even when watching bad films I always try to get something out of it. Unfortunately and most sadly, every now and then a film comes along where I just find myself lost for much to say. Being a big Jason Bateman fan myself it really pains me to say that I really hated this film and despite the fact that I saw Bateman making the film he wanted I just could not bear to stay with it. Contrary to one of the films I most hated in recent times like Serena (2014), I cannot say this film ever really got me annoyed or unnerved for its content. It is not one of those films where it happens that you get talked down on, which for me are the worst kind of experiences that get me angry and offended. 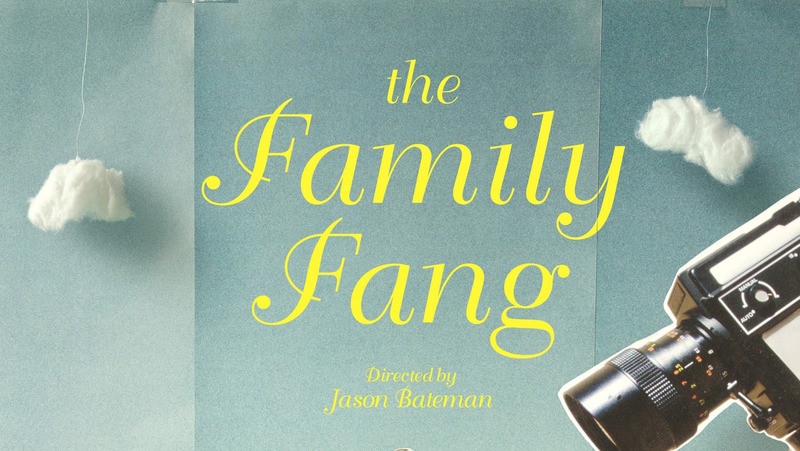 The Family Fang is simply a deeply disorienting film from tone to script to editing to, even if I don't like to talk about elements that are not part of the film, its poster. What basically makes this film unsettlingly weird from the start and on which the rest of it builds upon, is the basic premise. The idea of these performances by the family. I had no f***ing idea what the hell was going on. The film repeatedly reflects this sentiment the audience will probably feel with extras in it, but this doesn't suddenly make it tangible and understandable, least of all does it give it the sense it desperately needs. You are led to believe that offending two kids in public, making them kiss through a play despite the fact that they are siblings or assaulting a chicken sandwich stand should be these great polarizing pieces of vanguard-modern art. The film asks you to believe that there is a conflict there, that this has an effect on the world and on our characters, but since the dynamic is never convincing nor interesting it simply has no effect whatsoever on the film. So then you are guided through a journey into a dysfunctional family where you feel absolutely lost and the film's style certainly doesn't help. The editing is disjointed and there are sequences played with classical music which I still have to figure out the reason for. The shots are all over the place, a mishmash of Wes Anderson's geometrical style, with standard coverage and a spice of weird tracking shots which, when added together just resulted in a truly chaotic experience for the mind in the first place, then when I had just given up on the film, I kept being bewildered. Moreover, the drama, certainly because of all of the above lackluster elements, but mostly because of a murky script, is truly boring. The conflict doesn't exist, you don't understand what these characters' problems are, the focus is never pulled on something and it comes out as this generic family drama that has absolutely no emotional investment. The plot turns are the only thing that apparently come close to feeling exciting, then what is truly under them is unveiled and I frowned deeper into my seat for that. The Family Fang is a film that really got on the wrong side of me. As a film lover I had almost nothing to take away from it and that really makes me sad because I understand the effort that goes into filmmaking and whilst Bateman and his fellow filmmakers might be proud of what they have made and have every right in the world to be so, I personally found myself truly and unluckily wanting to escape the theater.